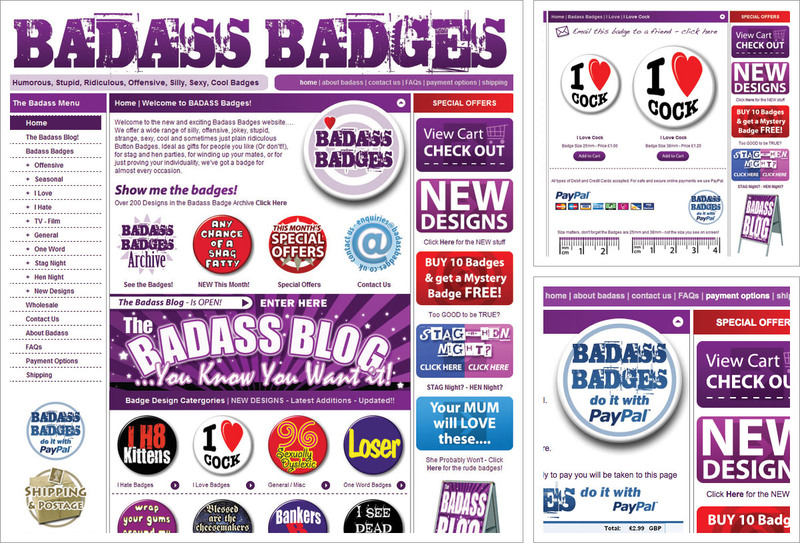 E-commerce site designed for Midlands based online retailer, the bonkers Badass Badges. This was great fun to work on. We created everything including the bespoke menu, navigation, blog images and the Badass Logo.